I just about had a heart attack when I realized there were only two more Saturdays until Christmas. But then I realized we were going to be alone this year anyway and I guess Saturdays don't really matter that much anymore to me since I am retired. Every day is Saturday. But I still get nervous about getting everything done. Here is what I have already done. I griped about the lost art of correspondence in an earlier blog so I take my own advice. I don't believe in the annual "bragging" letters so many people send out. I like hearing from my friends but reading about their dog's graduation from obedience school or little Jimmy's home run last April isn't my cup of tea. What I do want to hear is that I have been a good friend. So that's what I try to do each year when I send out my cards. I write a little personal note letting my friends know what they mean to me or I remind them of a happy memory that includes them. All in all, it doesn't really take that much more time than that long, typed, impersonal letter. By the way, did I tell you my son made partner in his law firm? Oops. Yes, I said "all." 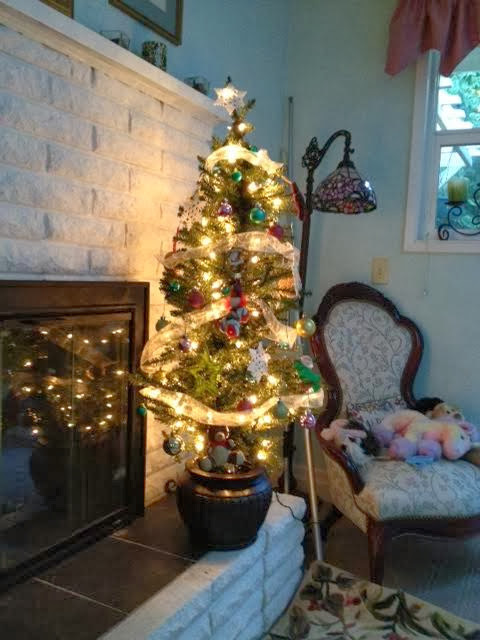 Not sure how it happened but we have a tree in the living room, tree in the family room and trees in the bedrooms. Two are real. 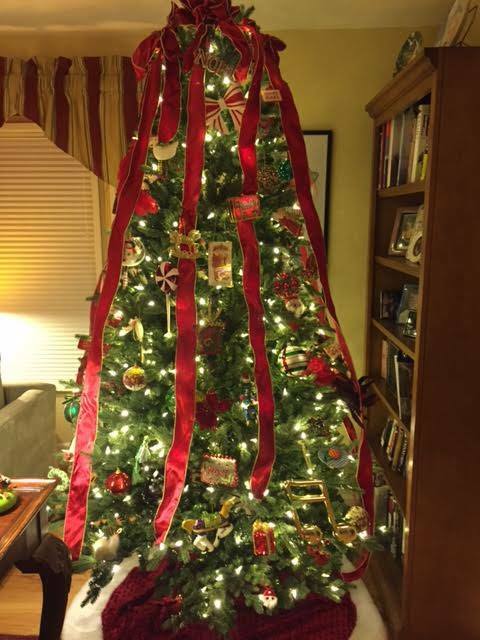 Real tree in old fashioned decorations topped off with red velvet bows. 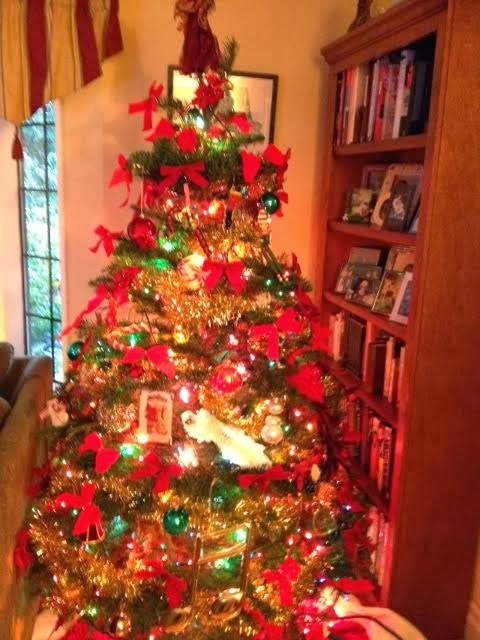 Fake tree with all of the leftover ornaments. But it's comforting to have a little tree in the bedroom since I spend so much time there. There are also little trees in the guest rooms. Presents to those far away have been sent. Check. So that is what I have done so far. But it is actually a rather sad exercise as we will be all alone this Christmas. 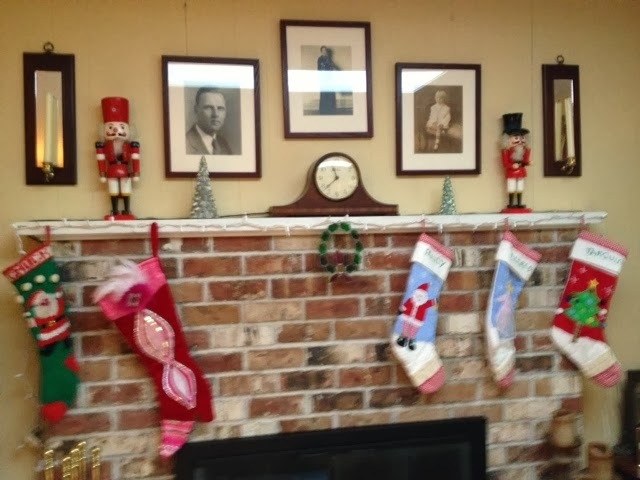 Those three stockings on the right are for our dogs. Our two children will be spending Christmas with their other families this year. Buy decorative empty boxes so it will look like we have presents under the trees. Get out the dogs' holidays sweaters and Santa costumes. At least we have them. Bake. No one will be around to see you get fatter, so what's the diff? Watch Lifetime Christmas movies and cry. Get over it, throw a party and then head off to some great place! Are you going to be alone this Christmas? If so, what are your plans? It's been a slow week because of the holidays. It's Nazi Germany right before WWII and young Liesel is being fostered by the Hubermanns, a German couple. When she arrives, she can't read but has kept a book to remind her of her dead brother. She learns to read and finds solace in stealing books and reading them to others, especially the young Jewish man the family is hiding. When Geoffrey Rush and Emily Watson are starring you can usually expect some good acting. 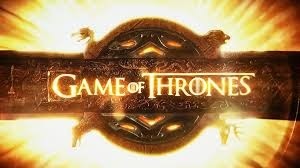 Unfortunately the characters are stereotypical and the script and dialog is a bit of a jumble. 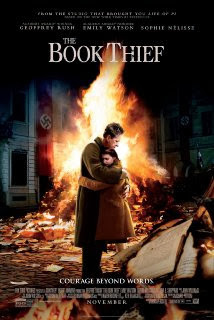 This film is an adaption of the best-selling and award winning book by Marcus Zusak and appears to be suffering from the translation. Trying to pack everything from a book into a two-hour film sometimes doesn't work. It didn't here. Rosy the Reviewer says...Good intentions, but just misses the mark. Wait for it on DVD if you still want to see it. Hapless failed NYC playwright stages a fake suicide to get her boyfriend back only to end up back home with her gambling addicted mother. The jury is still out on Kristin Wiig in romantic comedies. She is a brilliant comedienne, but she struggles with the pathos. Annette Bening is the star here. I always forget what a good actress she is and here she plays against type as a floozy. Rosy the Reviewer says...See it for Bening's performance and a few laughs. True story of an Alaskan State Trooper who joins forces with a young woman, who was almost a victim of a serial killer, and together they bring him to justice. 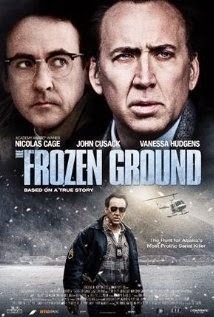 It's up in the air about Nicholas Cage's acting, but here he does quite well. On the other hand, there is no question that John Cusack is a consummate actor and here he is slimy and twitchy as befits the serial killer, Robert Hanson. And it's all very frozen and cold and Alaska-like, as it should be. Rosy the Reviewer says...Wasn't expecting much. But this film delivered beyond expectations. A recommended crime thriller. 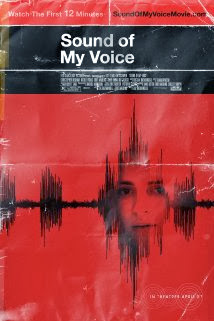 I am a big fan of Brit Marling, who co-wrote this screenplay. She also co- wrote and starred in The East and Another Earth, two other very interesting indie films. Rosy the Reviewer says...See this for Marling. An inside look at the enigmatic, fiercely private Carson by his lawyer and friend. It makes me sad to think that the current generation probably doesn't know who Johnny Carson was, but for Baby Boomers, he was a welcome addition to our homes late at night. I know he kept me company many a night while my husband was in Vietnam. He hosted "The Tonight Show" for 30 years (1962-1992) and was the highest paid performer of his day. 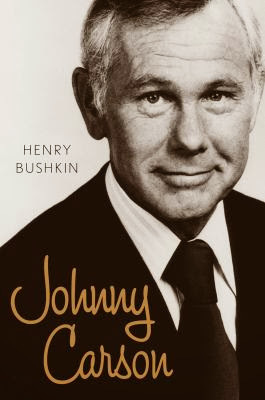 I sometimes have a problem with biographies about people who are dead as there is no way to know the truth behind the dish, but Bushkin was there for much of Johnny's career and he has a lot to share, such as Carson's womanizing, sometimes heartlessness toward his family and a run-in with the mob. However, it's a bit heavy on the business side of Carson's life and career (divorce settlements and contract negotiations), but I guess that's to be expected since this guy was his attorney and business manager. Rosy the Reviewer says...He was one-of-a-kind. If you are not that familiar with him, a better "starter" book might be Lawrence Leamer's "King of the Night." Check your local library. We'll be alone too but being in Paris instead sounds like a great idea! 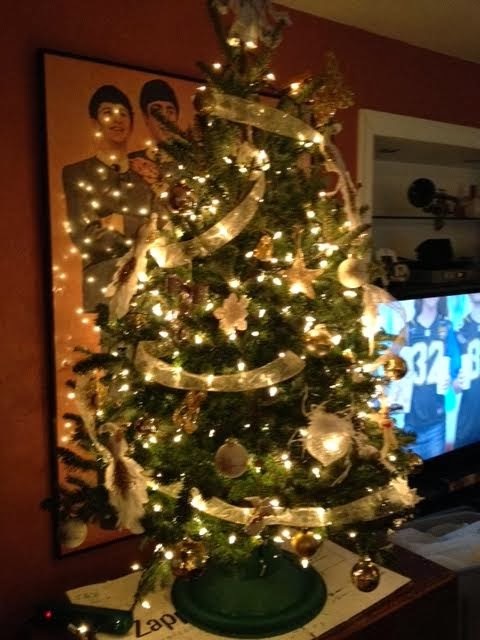 I have taken the opposite approach - no decorations. We drive around on Christmas Eve and enjoy all the outdoor decorations others have put up. Have a happy holiday! Happy Holidays to you, too, Juhli!